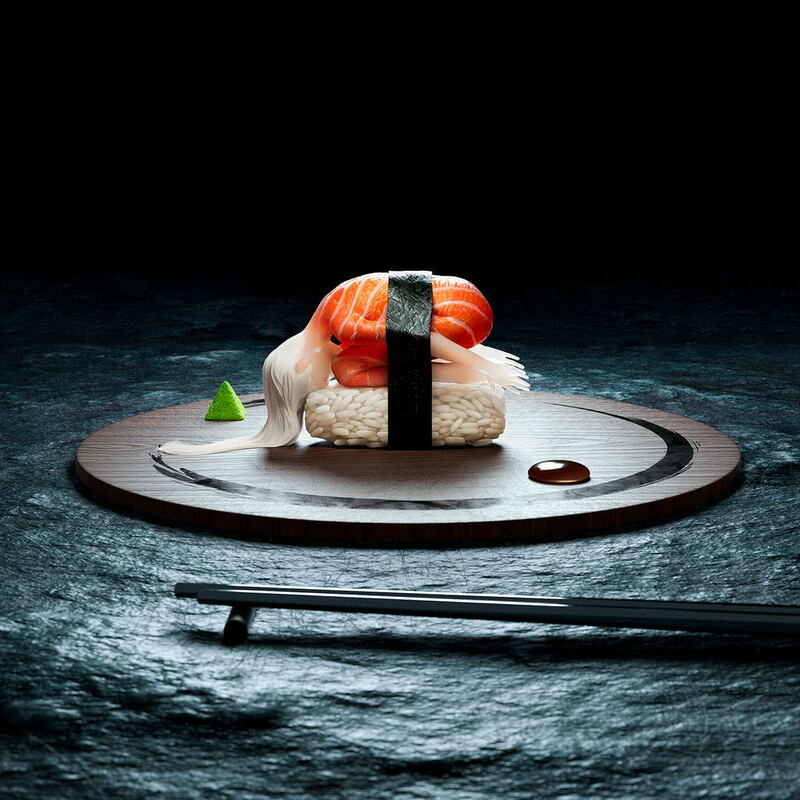 Despite what most people have come to believe, Sushi doesn’t have to be fish. 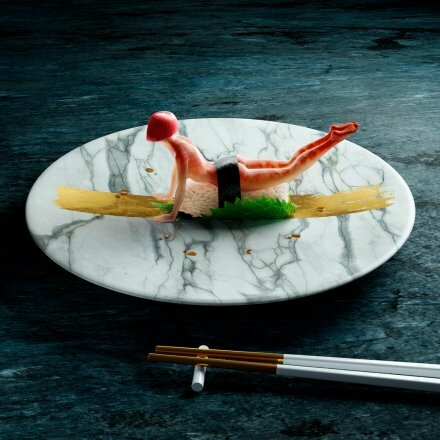 In Japan, you can find all sorts of raw and cooked meats served as sushi ranging from chicken to raw horse meat. 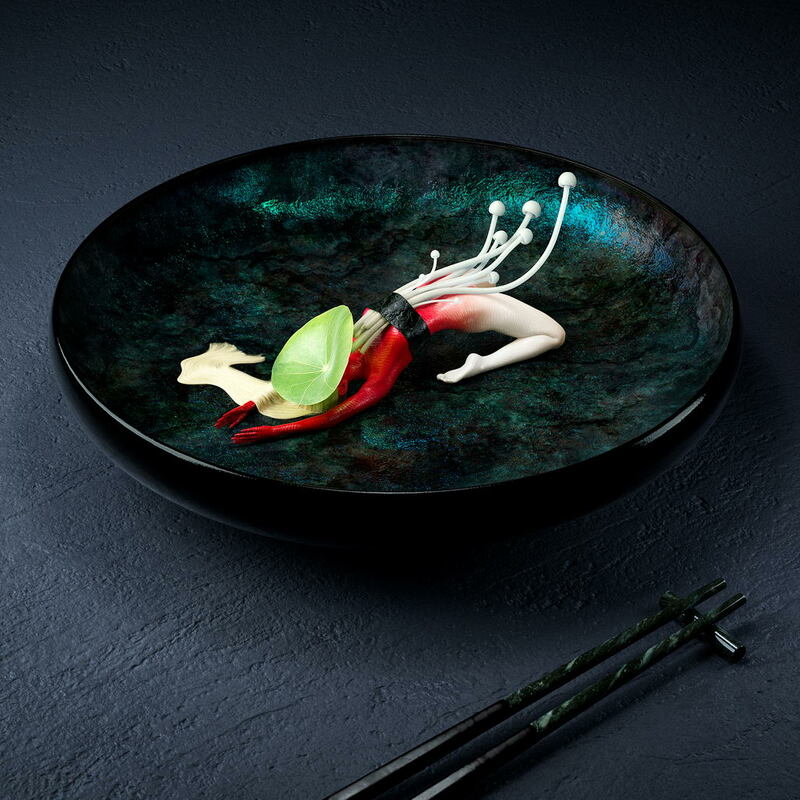 Artists Cristian Girotto and Olivier Masson have taken the spirit one step further with their digital illustrations which they’ve titled: Raw - The Ultimate Delicacy. Amazingly, everything in the images from the humans to the raw fish textures and even the rice has been digitally rendered.